Since most of the trout species in the Salmon River reproduce naturally, we are very protective of our population. We try to provide you with an excellent angling opportunity while also protecting the fishery. 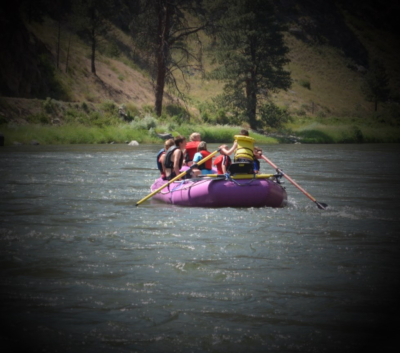 That is why you will rarely see SRSR running more than one boat per day on the upper stretches of the Salmon River. The optimum time to trout fish the Salmon River with SRSR is from late July to October. We fly fish and are not averse to spin casting for trout. Most of the trout species in the Salmon River are catch and release. We provide all the fishing gear and a lunch and drinks on our trout fishing excursions. Most of our trout fishing is based out of the town of Challis.